Captain Edward Nichols was born in 1813 at Nantucket. He was for thirty-seven years engaged in the whale fishing, and master of a vessel for sixteen years prior to 1864, when he retired. 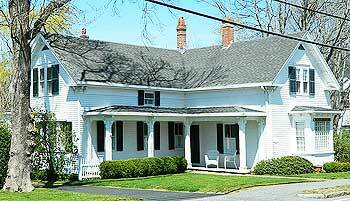 He lived at 139 Main Street and owned the field on School street as well. awake institution,” reported one newspaper. Today it seems odd to play baseball in November. In the early days it was not. 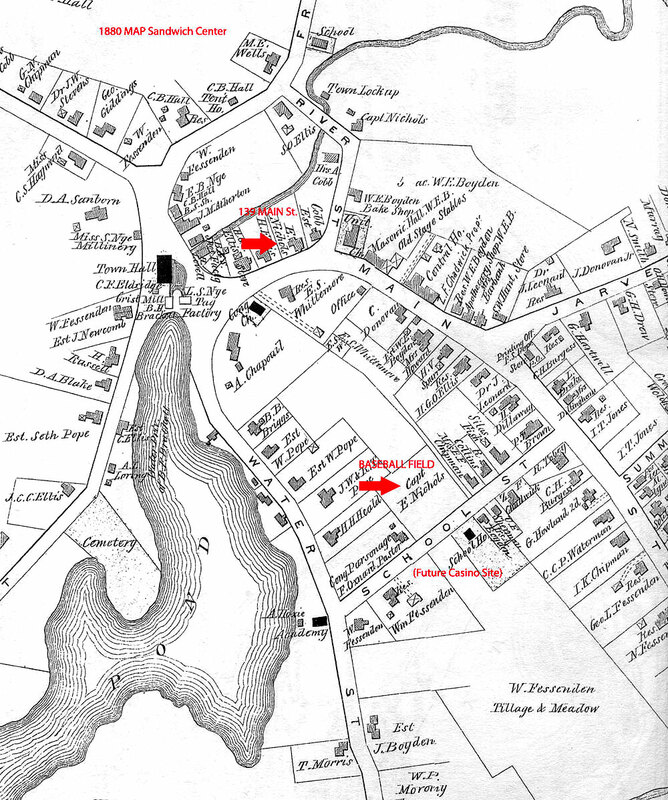 On Election Day, November 7, 1867, for example, according to the Barnstable Patriot, the Cummaquids of Barnstable beat the Masketuketts of West Barnstable. 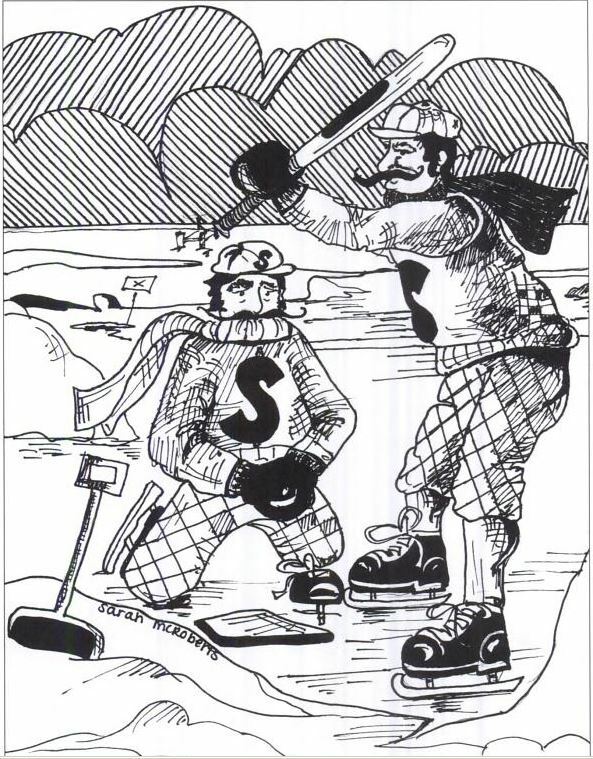 As a matter of fact, in the 1870s, Sandwich’s “Star and Active” team played baseball on the ice of Mill Pond, every player on skates. In 1884 a casino was built on School Street next to the school (yes, there actually was a school on School St.) This was across the street from the Nichols lot (see above map). Not a gambling casino like we think of today but rather a function hall, a place for community gatherings. Baseball games were played behind the Casino. 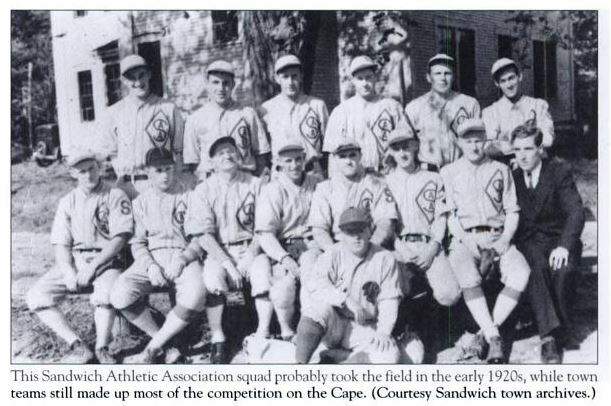 “The Cape League” was formed in 1923. 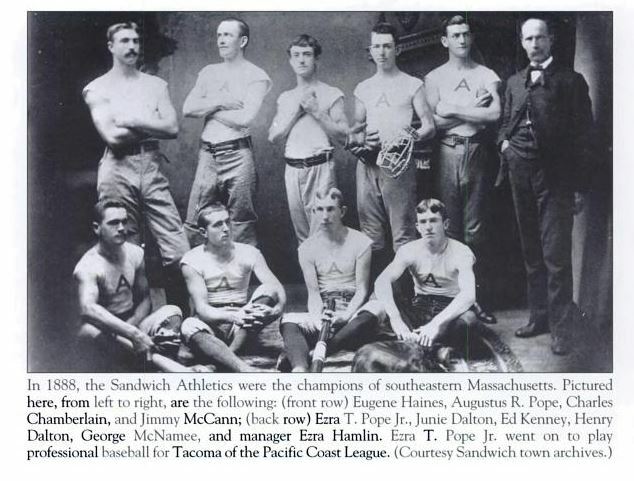 The league consisted primarily of four teams from Falmouth, Hyannis, Osterville, and Chatham. But teams were also forming in other towns. In 1946, the league was split into the Upper and Lower Cape divisions. The Massachusetts Maritime Academy, Otis Air Force Base and the Cape Verdean Club also entered teams. In 1949 Sandwich was faced with a dilemma. 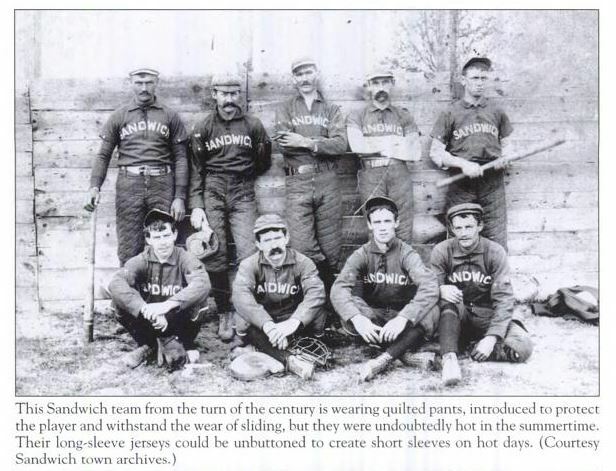 Author Christopher Price explains: “Only six young men were interested in playing on the town team. 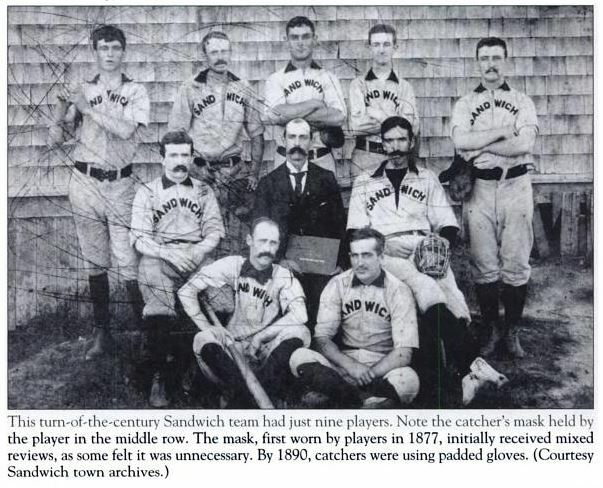 Shortly after, Sandwich ceased to field a baseball team at the highest level of competition on Cape Cod, and several of the players joined the fledgling Cotuit franchise” (today known as the Cotuit Kettleers). 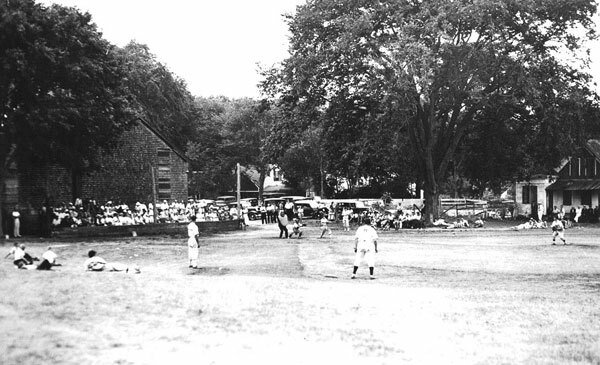 On June 14, 2014, as part of Sandwich’s 375th anniversary celebration, a Cape Cod Baseball League game between the Bourne Braves and the Falmouth Commodores was played at Fenton Field in Sandwich, yet another tribute to the town where Cape Cod Baseball began! 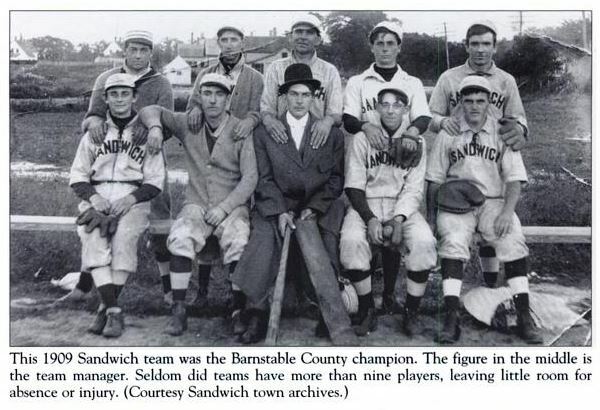 This entry was posted in Historic Buildings, Sandwich History. Bookmark the permalink.